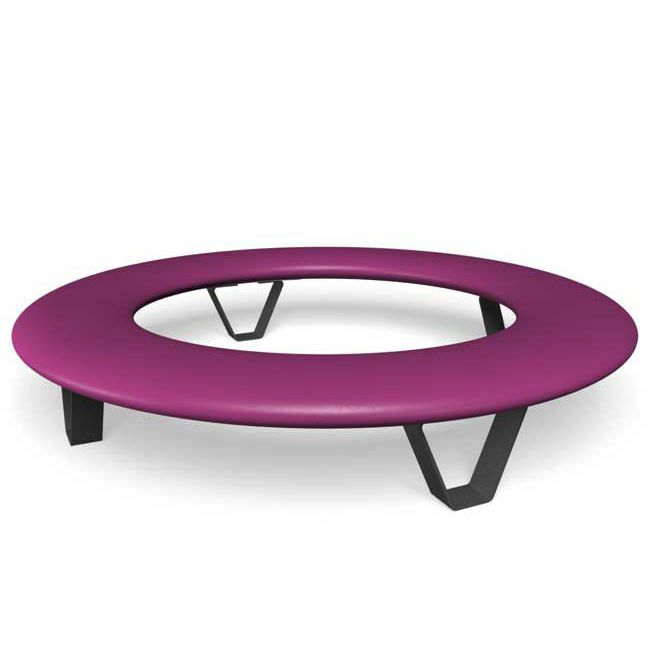 This futuristic round bench invites people to picnic outdoors or take a short break. However, it is also suitable as a meeting point for friends in the city or in the school yard. 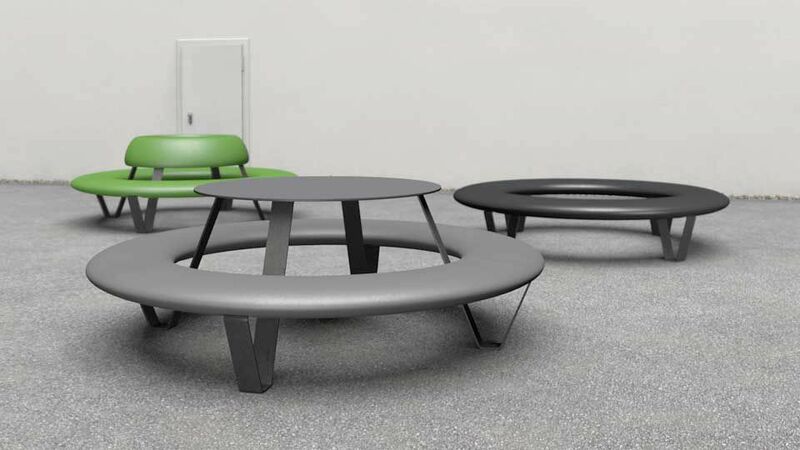 Furniture product line for public outdoor spaces consisting of seating element with back rest, seating element without back rest and seating element with table. All furniture made of steel frames with seat and back rest of polyethylene and table surface of high-pressure laminate plate. All furniture is prepared for ground bolting or setting in concrete.